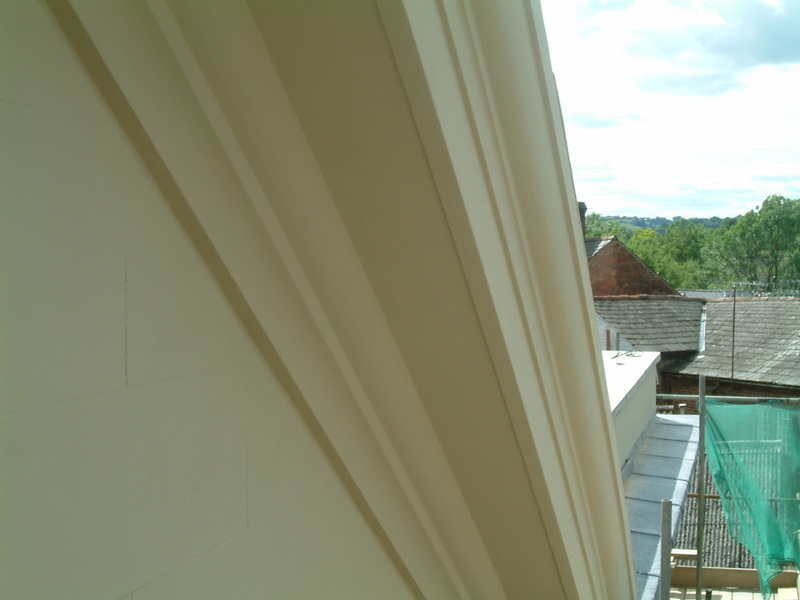 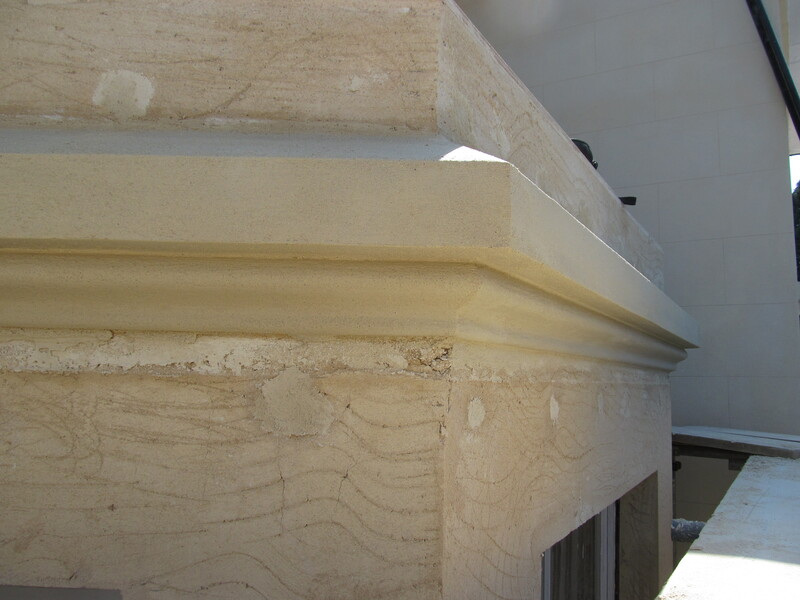 Here you will find information about cornice we run In-Situ and some examples of our work. 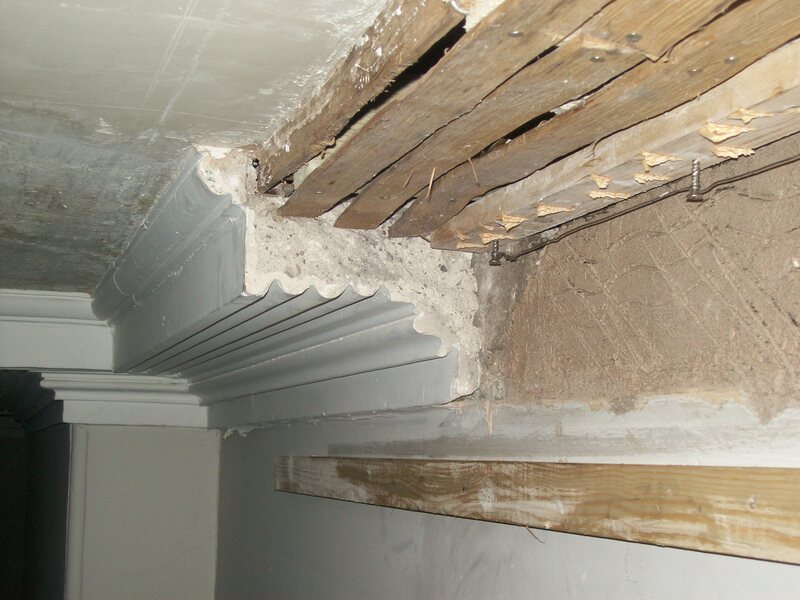 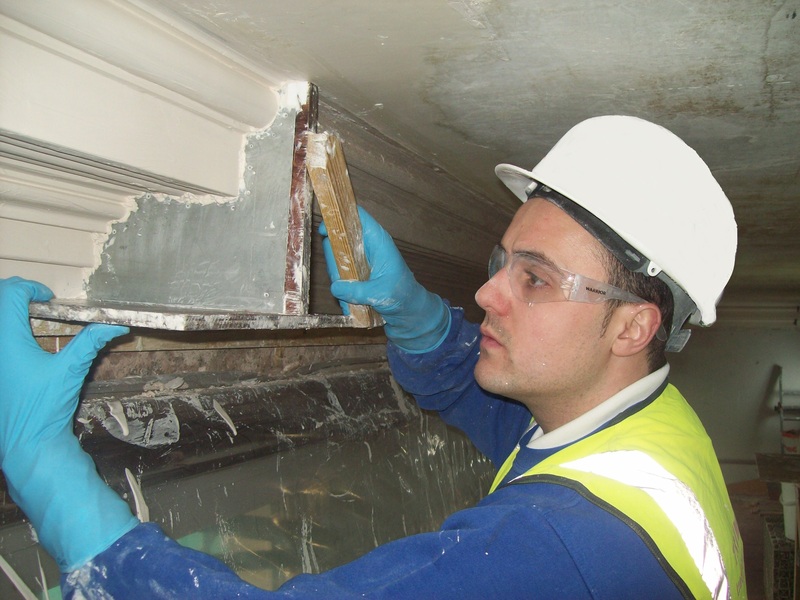 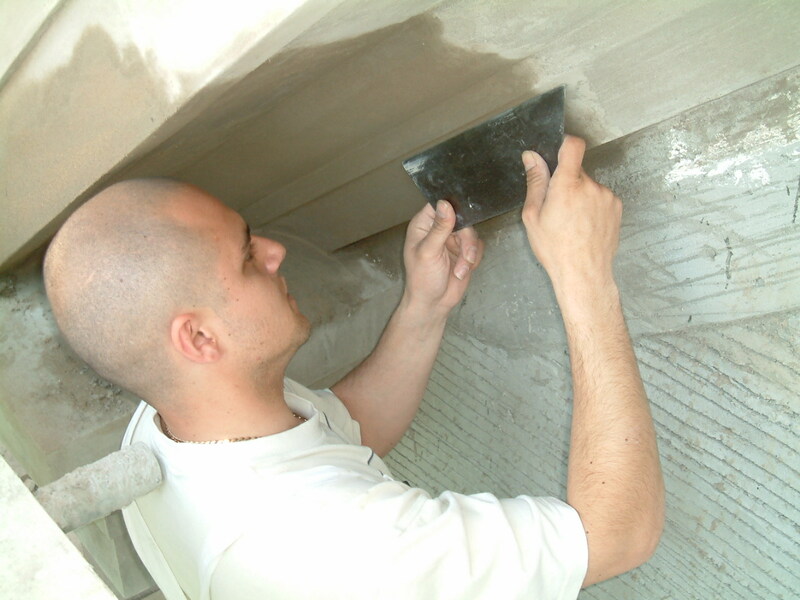 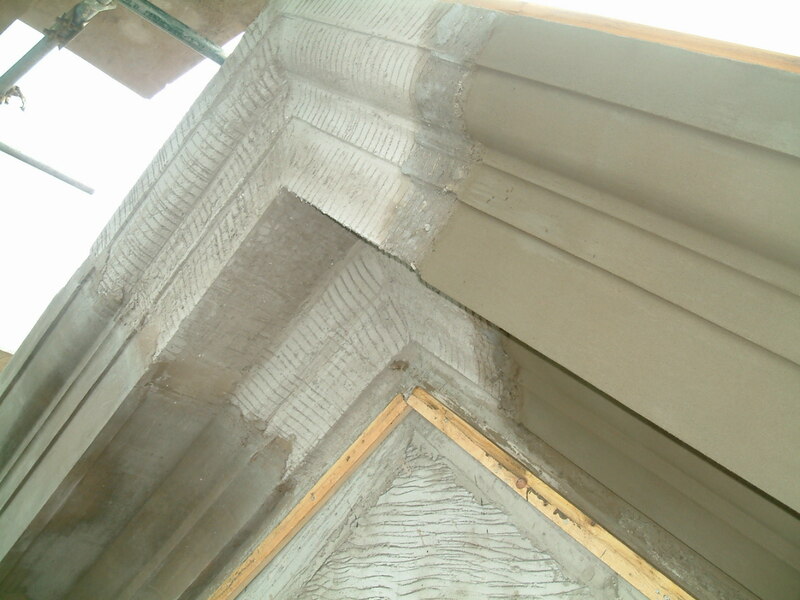 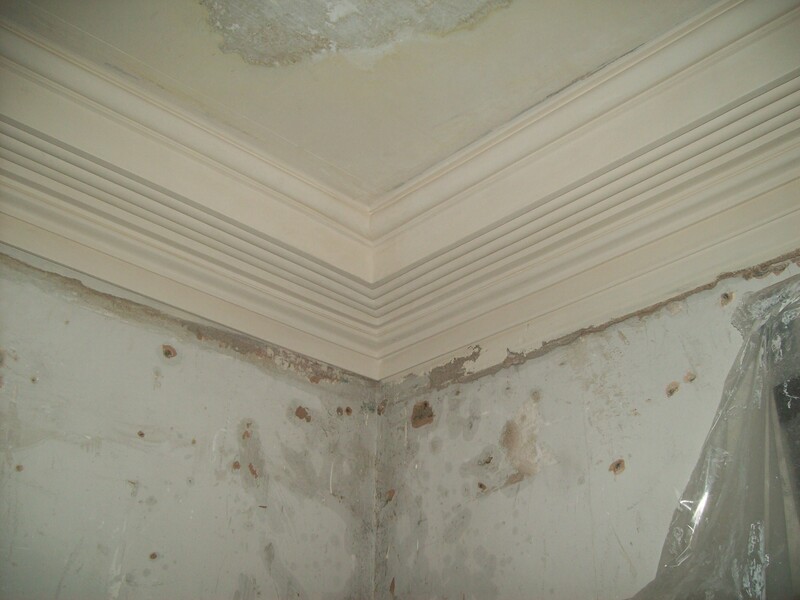 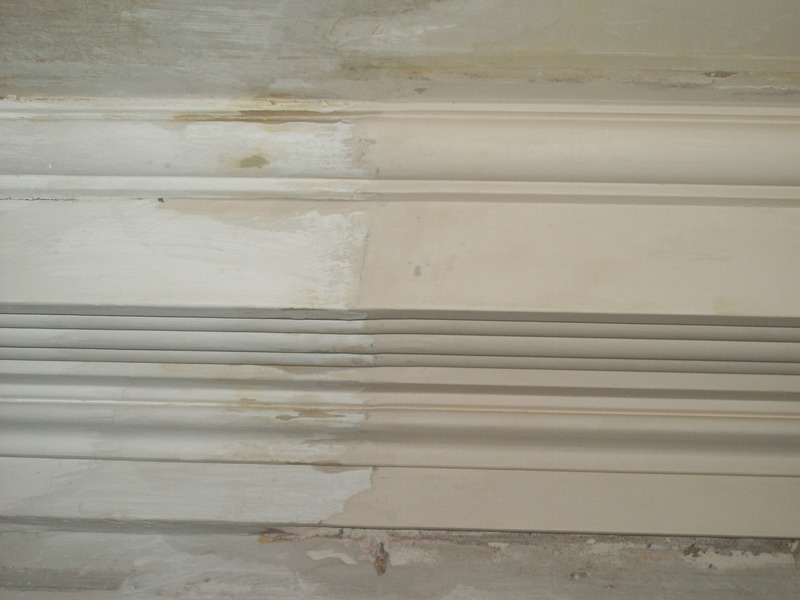 The Plasterwork Specialist offer a full Run In- Situ service. 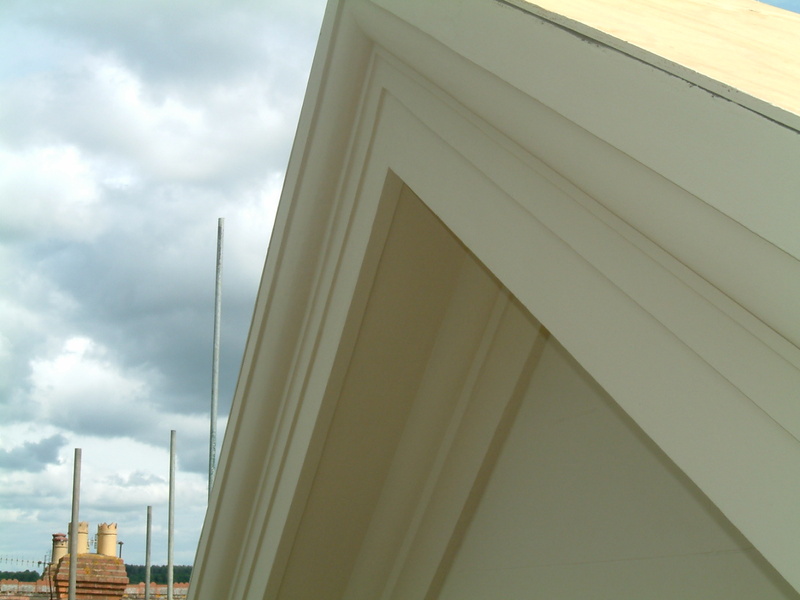 We can arrive on site and run any cornice profile straight or curved. 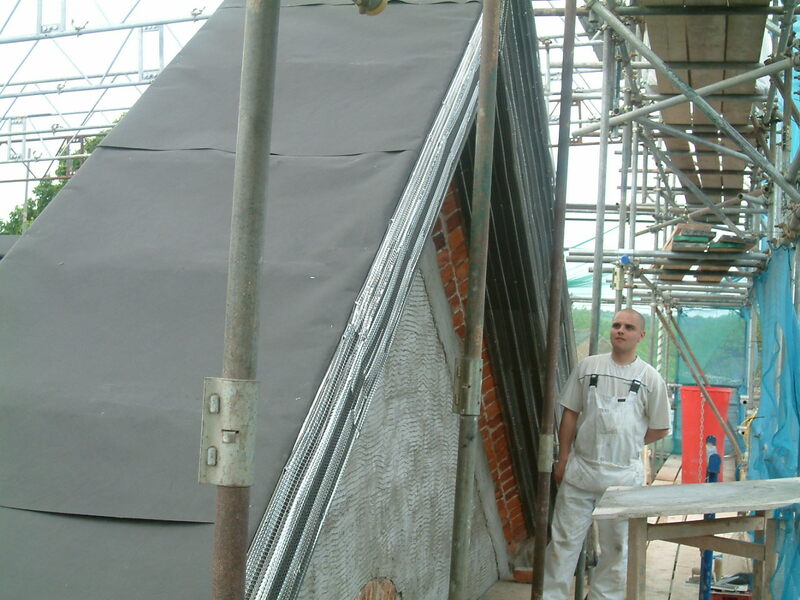 This option is generally more expensive than the Fibrous route as it requires lots of background preparation. 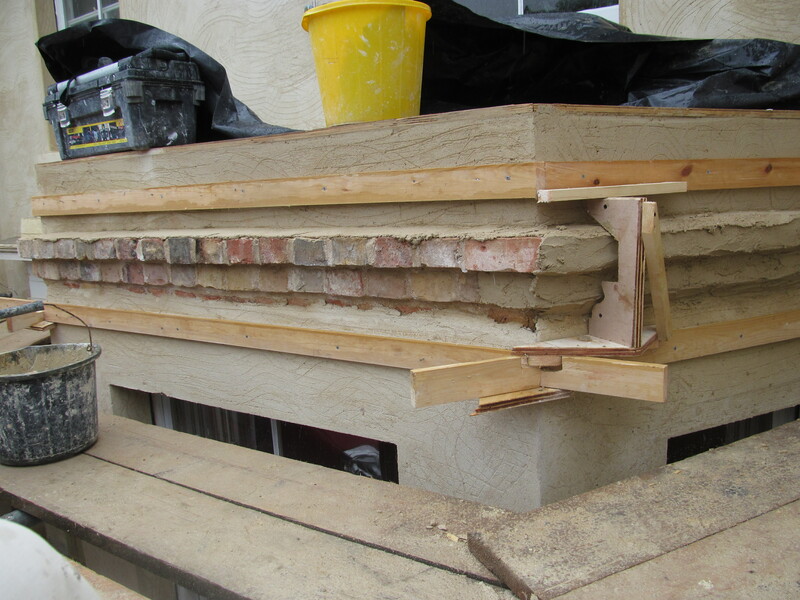 This can include setting out of scotch bracketing ready to fit lath or eml and running guides before the ‘running’ can begin. 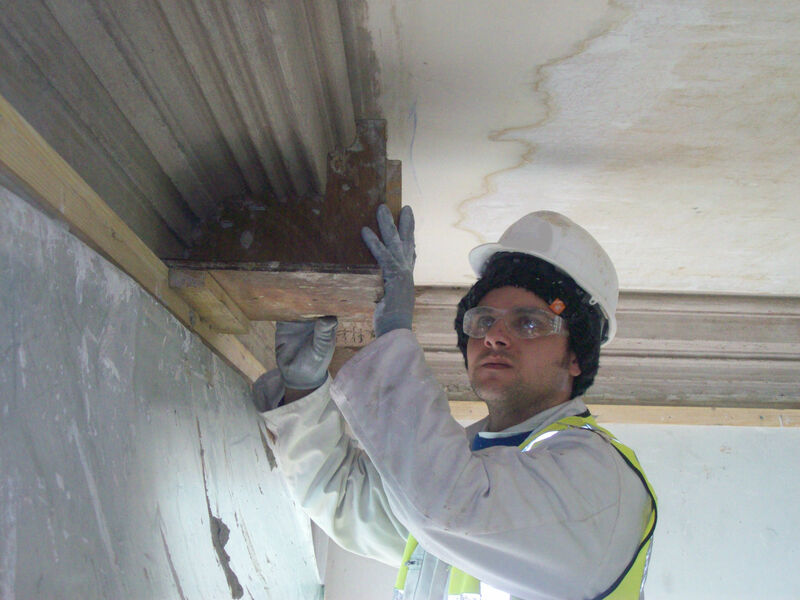 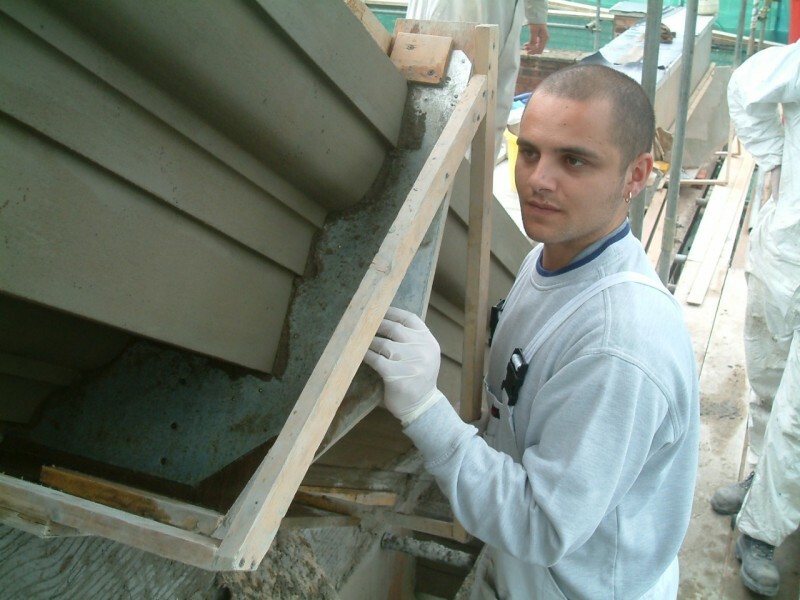 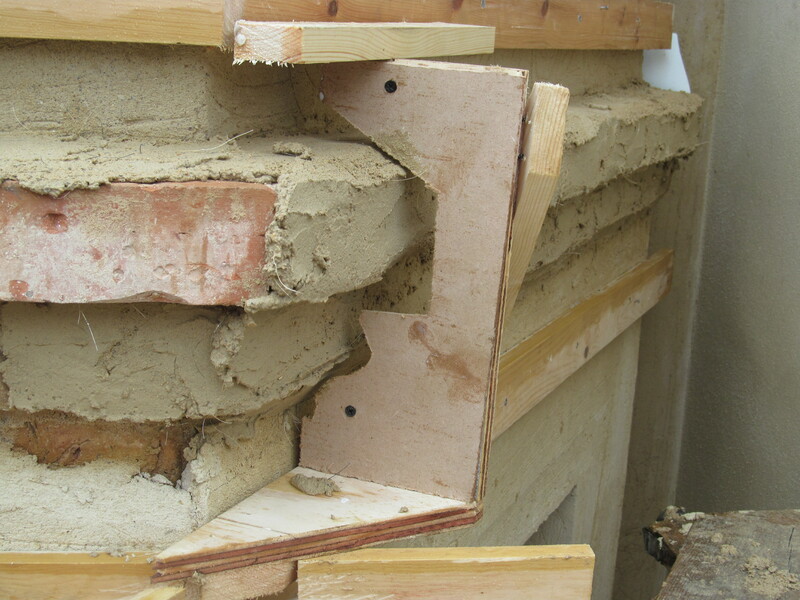 This traditional plastering method is mainly used on buildings covered under conservation laws or where the fibrous route is inadequate. 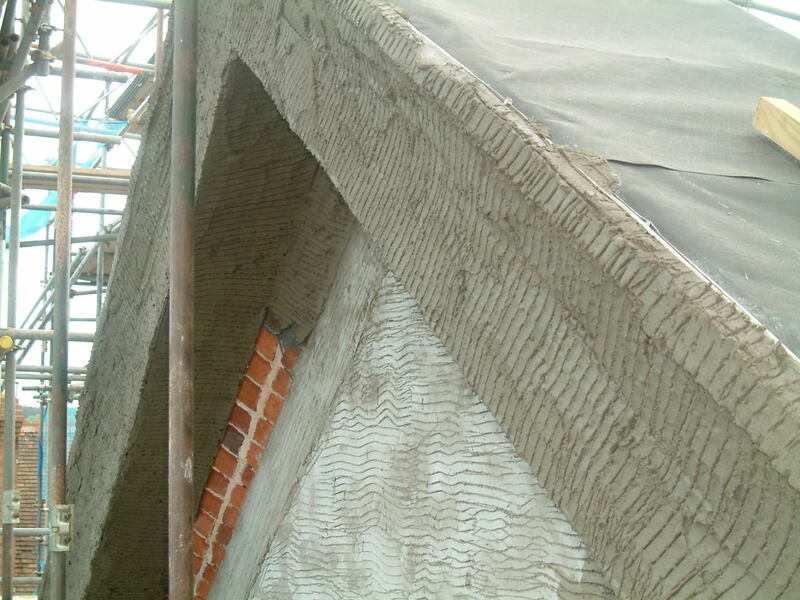 The most common materials for In-Situ work are sand and lime or sand and cement. 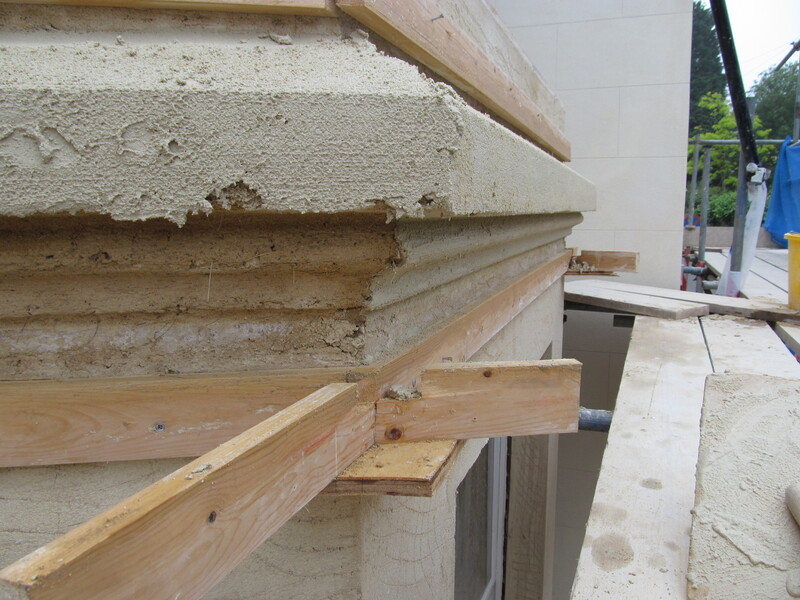 All cornices are cored out using a ‘muffle’ to within 5mm of the finished profile. 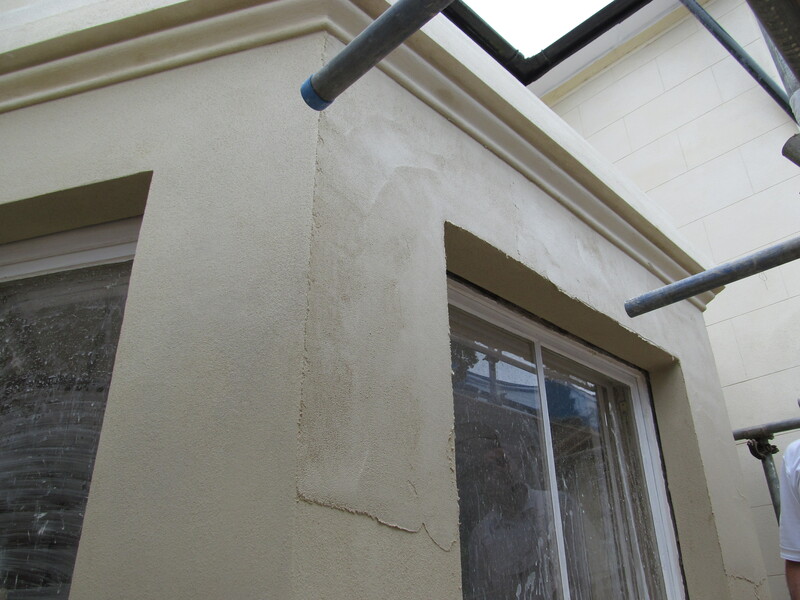 We then remove the ‘muffle’ and use a finer grade sand mixed with lime or cement to apply the finish coat. 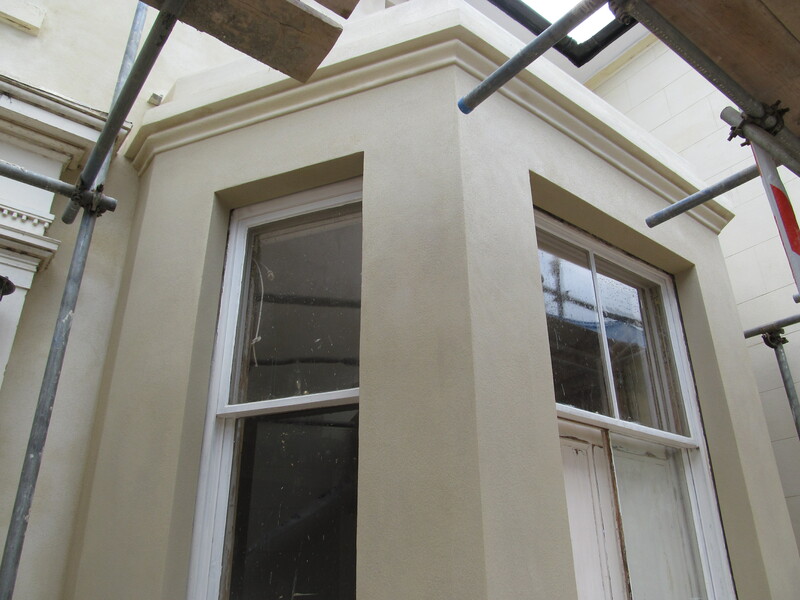 lime rendered bay window and cornice.